Calaveras County Board Of Supervisors Regular Meeting & Discussion Of Prop. 64. San Andreas, CA...The Calaveras County Board of Supervisors are holding a regular meeting on Tuesday, December 13th at 8:00 a.m. On the agenda the Planning Department is to receive a status report on the cannabis cultivation Urgency Ordinance and discuss the implications of Prop. 64. An Emergency meeting to deal with the consequences of a prop that everyone with half a brain new would pass. Why not prepare for this day because calling it an emergency gives the sense that the situation is out of control, which it might be. 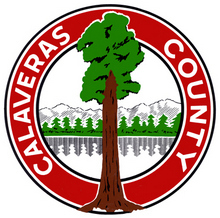 The Calaveras Board of Supervisors is inept, it is really too bad for the good people of Calaveras County. You could do so much better but you settle for s--t so all you get is s--t. Is there any wonder why Calaveras County is such a S--t hole, it starts at the top and trickles down to the peps! Its an Urgency ordinance you imbecile, not emergency..Go back to wherever the hell it is you came from six months ago. You might want to read that agenda again if you think it's an 'emergency' meeting. Also, there are 51 items on the agenda, including $100,000 for 3D surveying equipment for the Sheriff and $50,000 for CHP to provide Civil Standbys for Code Compliance. It would be great if people in this county could apply the same pot-debate energy to fiscal responsibility. And over 1.5 Mil for installing those things along State Routes too. if you had half a brain dickwad, you would know it is an Urgency Ordinance, not an Emergency Ordinance....what a freaking idiot. and maybe 2 of those machines that go "ping". "...You dont need an education or any experience to get elected..."
Thank you for the update, Capitan Obvious! oh ping pong.....I haven't played in years!!! "New", knew. "Peps", peeps, or people. You call the BOS inept yet cannot spell.